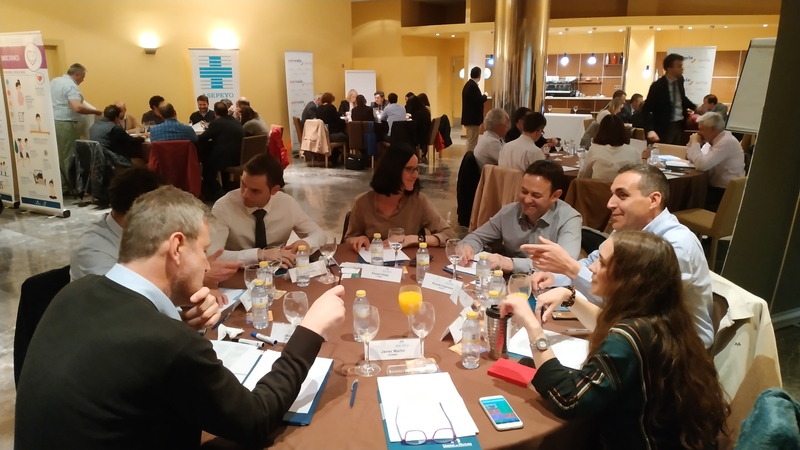 HuMaN partner AIDIMME was invited to attend the Fair for Health and Safety at Work, Laboralia, in order to participate in a round table organized by the mutual insurance company Unión de Mutuas. This table tried to unveil and identify processes and risks that are introduced by the use of Industry 4.0 agents such as collaborative robots (cobots), exoskeletons, virtual and augmented reality, IoT, etc. The participants discussed on the key aspects of health and safety in the manufacturing companies due to the introduction of these technologies. Thinking about possible measures to avoid the identified risks, and finally, gather experiences from the company about the introduction and use of such technologies were the center of the talks. Javier Martín from AIDIMME showcased HuMan and its services from the point of view of how they affect workers within the Industry 4.0 paradigm. 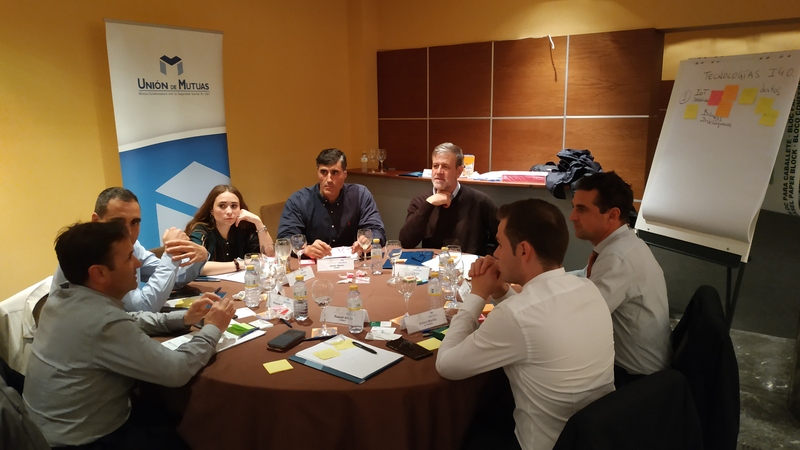 Other table attendees were Unión de Mutuas representatives, Javier García (CEO of Micuna), Javier Agraz (AIDIMME HR manager), and Ricardo Espinosa (Digital Transformation consultant at Nunsys).